I smelled that yummy basil aroma immediately when I opened my CSA box this week. Pesto was a must! 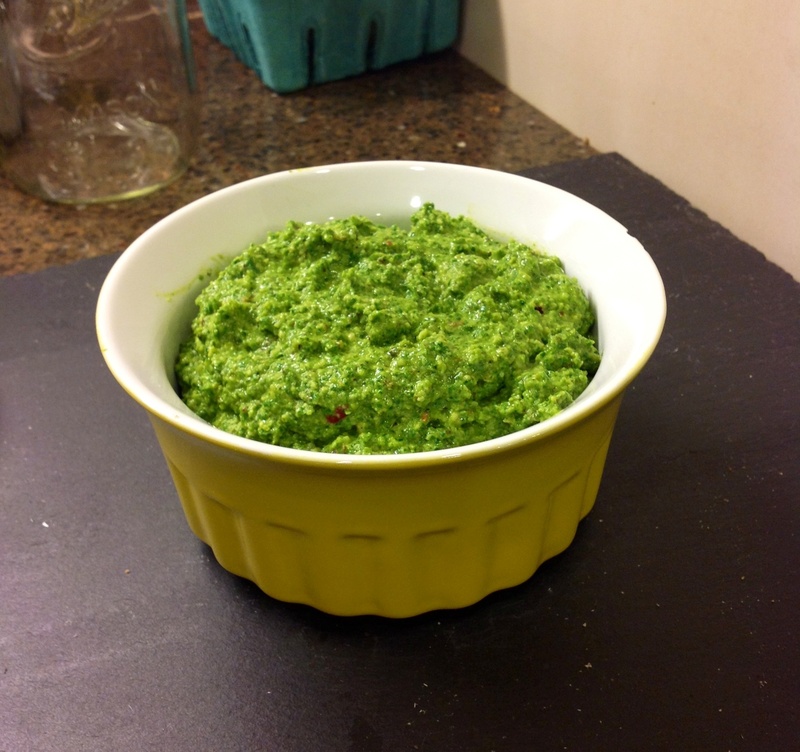 I make traditional basil pesto quite often so I wanted to change the pesto sauce recipe up a bit. 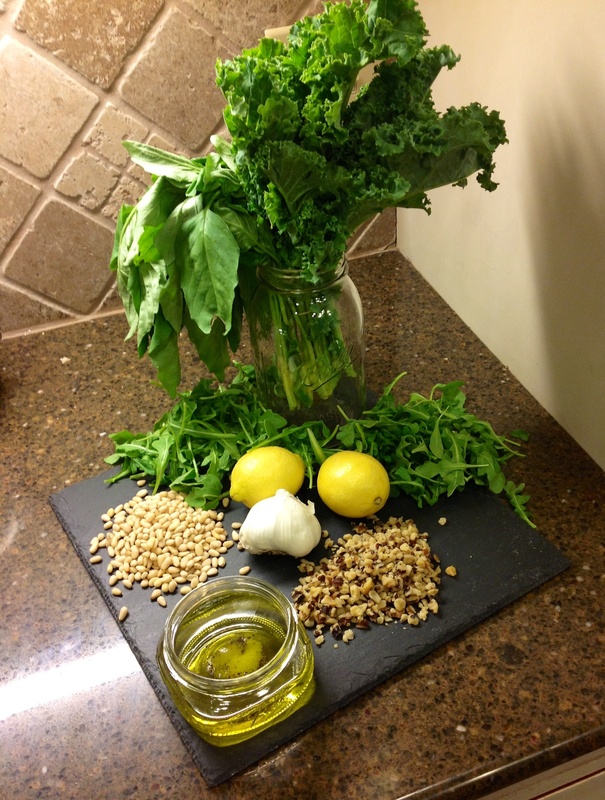 I decided to use the kale we got in our box along with the basil and then add arugula as well for its peppery flavor. What I love about pesto, aside from how amazing it testes, is how easy it is to just throw everything in a food processor (or blender or vitamix) and with a push of a button its done! Adding the fresh diced tomato for garnish made it nice and summery. 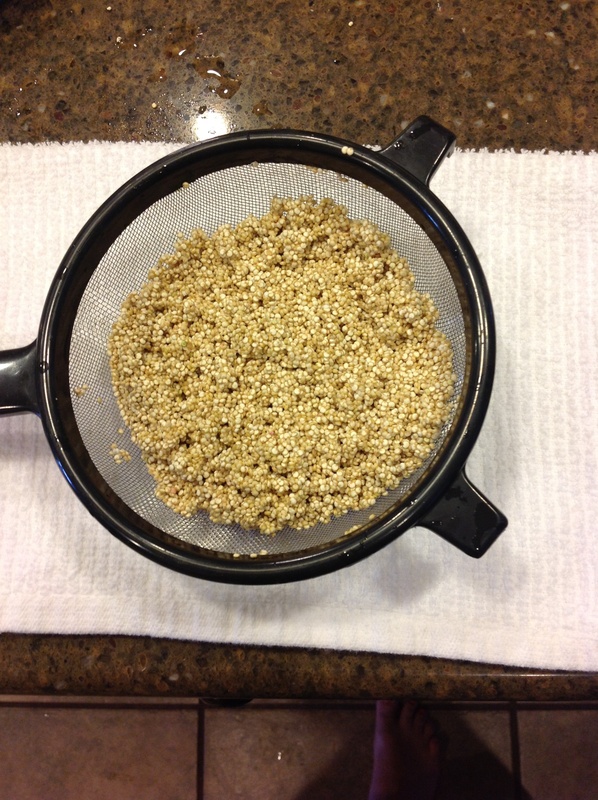 Measure your dry quinoa according to how many you are serving and rinse using a wire colander. The ratio is always 1:2. I used 1 C quinoa and 2 C water and brought to a boil. Then, immediately reduce to low heat and cover for 10-15 minutes (until water is absorbed). Salt the quinoa to taste. 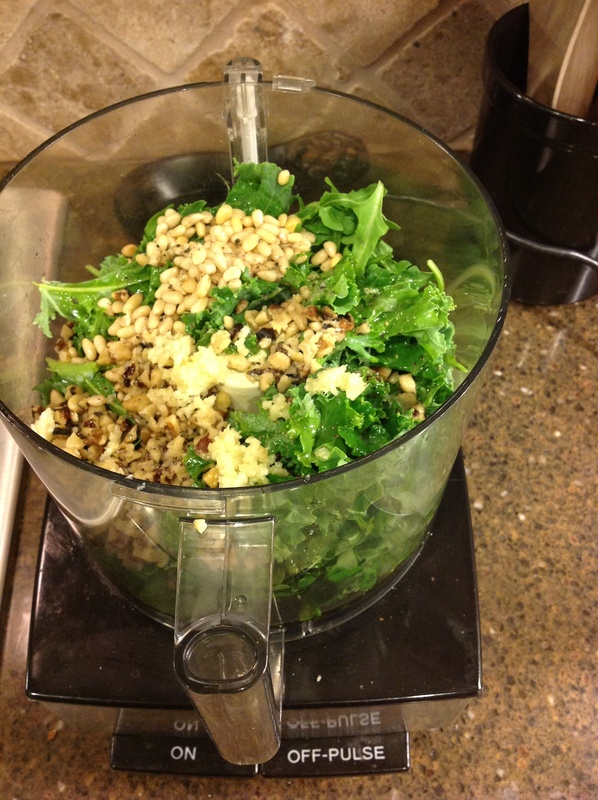 Rinse and dry your greens and discard kale stems. 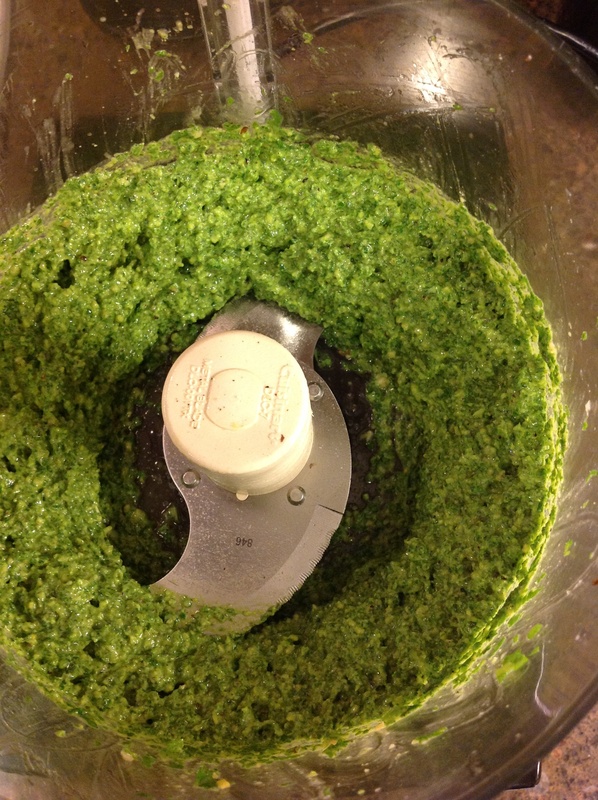 Add all of the pesto ingredients to your food processor and blend until it turns into a nice paste. If you want a more runny sauce just add more olive oil until you get your desired consistency. For this dish I made mine fairly thick. 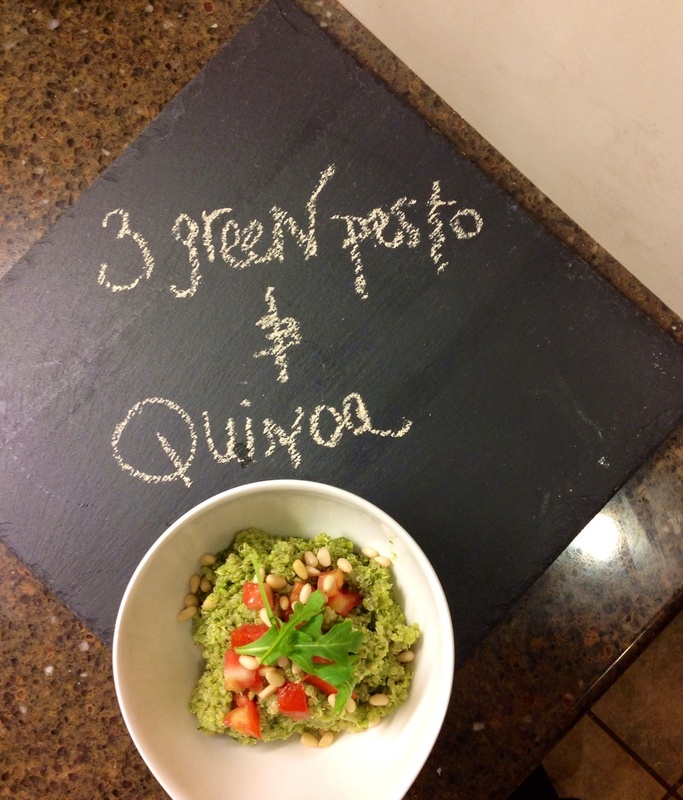 You will have plenty of pesto leftover! 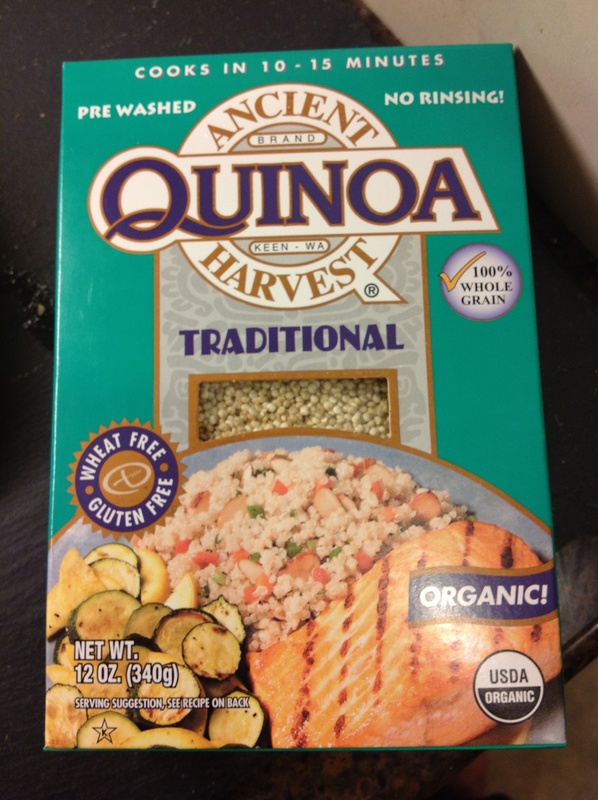 It’s rich so a little goes a long way, so add a spoonful at a time to your quinoa and taste. It’s always nice to make this bigger portion so you can freeze for later use over roasted veggies, salads, or chicken. 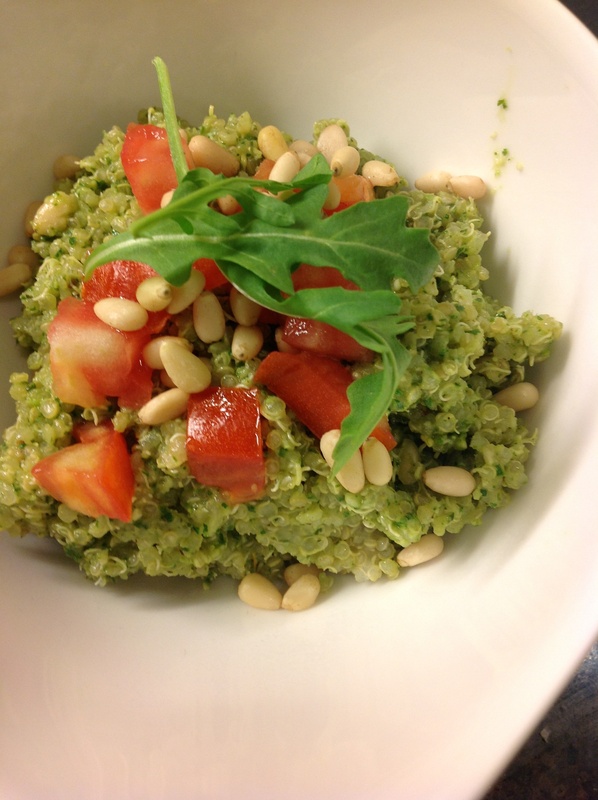 Once you’ve mixed the perfect amount into your quinoa top with your diced tomato and pine nuts. KALE AND HOT WATER CORNBREAD!